Kirk Franklin is a young minister who had forever changed Christian Music through his combination of contemporary hip-hop and traditional gospel music. Kirk was born and raised in Ft. Worth, Texas, where he was abandoned at the age of three by his parents and raised by a devout 64-year-old aunt, who always made sure he was in church on Sundays. Kirk began playing the piano at age 4, and was offered a recording contract when he was only 7! However, his aunt declined, thinking he was too young. At age 11, he was appointed music minister of his church. Finally, at age 19, Kirk did his first home recording. In 1992, he formed The Family, picking 17 singers. Kirk Franklin and the Family shot to the top of the Billboard Gospel charts. All of his CDs since then have done even better. Kirk Franklin's groundbreaking style and sound has led a revolution among Gospel artists, with "Lean On Me" garnering a GRAMMY nomination for "Song of the Year," an unprecedented honor for a Gospel artist. He is currently selling out venues across the country with his Hopeville Tour, where he shares the stage with fellow Gospel music luminaries Donnie McClurkin and Yolanda Adams. 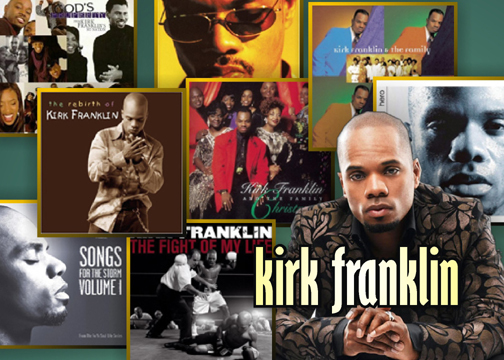 Franklin's latest CD release, The Rebirth of Kirk Franklin, has garnered five 2003 Stellar Award nominations and peaked at #1 on Billboard's Hot R&B / Hip-Hop Albums chart. The album was certified Gold by the RIAA three weeks after its release and is currently the #1 Gospel album on Billboard's Top 100 Gospel Albums chart. The Rebirth of Kirk Franklin Live video, which recently hit retail stores, is currently in the Top 10 on Billboard¹s Top Music Video chart. CCM Magazine Associate Editor Lizza Connor has named Franklin the Best Artist of 2002. Kirk Franklin has also been nominated for three NAACP Image Awards in the categories of Outstanding Gospel Artist, Outstanding Song ("Brighter Day") and Outstanding Album (The Rebirth of Kirk Franklin). The 34th NAACP Image Awards will take place on March 8, 2003. Franklin has recently been featured by major media outlets including Dateline NBC, People Magazine and BET's Journeys in Black, which explored his career and how his ministry has impacted the African American culture. Kirk Franklin joined legendary evangelist Reverend Billy Graham in Inside Out, a half-hour television special for teens, on Friday, December 27. The program, which will also feature recording artists Jars of Clay and dcTalk, will air on the WB network. 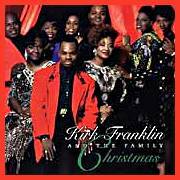 Multi-Grammy and Dove award-winning Gospo Centric Records recording artist and Lilly Mack Music songwriter Kirk Franklin was named the 2003 BMI Christian Songwriter of the Year in a three-way tie with Steven Curtis Chapman and The Crabb Family's Gerald Crabb. Franklin also received honors for his songs, "He Reigns" and "Hosanna" from his 2002 release, The Rebirth of Kirk Franklin. Both songs were among BMI's "Most Performed" songs of the year. Kirk Franklin (center) has just finished the first leg of his well-received, highly praised Hopeville Tour, with Gospel artists Yolanda Adams and Donnie McClurkin. Trin-i-tee 5:7 were his special guests as well.